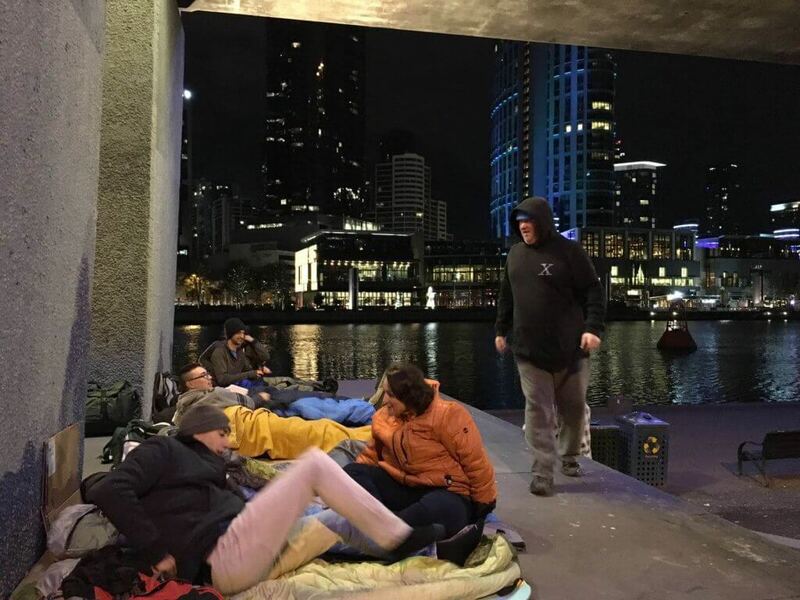 On the 29th of June to the 1st of July—one of the coldest weekends this winter—Judith Pallesen and a team of volunteers slept rough on Melbourne’s streets. 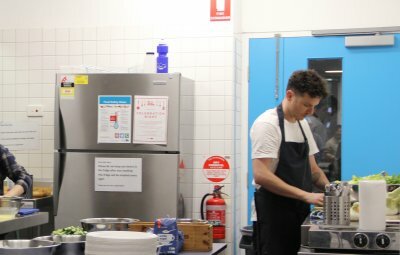 It was an opportunity to learn from and spend time with some of our regular Friday Kitchen patrons, who guided the team throughout the weekend. 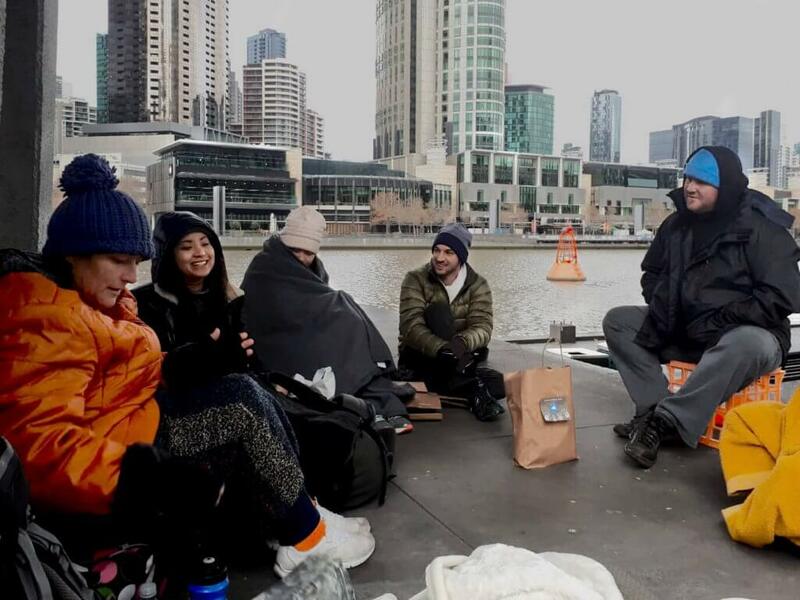 The most valuable thing you can give freely to another person is your time – and on the weekend of our winter sleepout this year, the community of rough sleepers in Melbourne gave us so much of theirs. The word ‘experience’ in this case needs to be approached with caution. 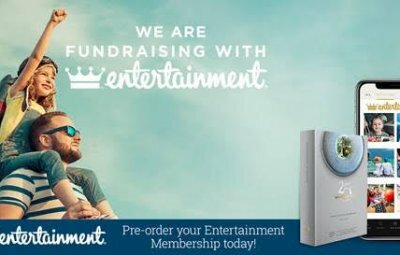 This was not a ‘stunt’, nor a fundraising opportunity, nor a physical endurance test. I am immensely grateful for the opportunity to hear from and share with our friends in the community and to witness their stories firsthand. 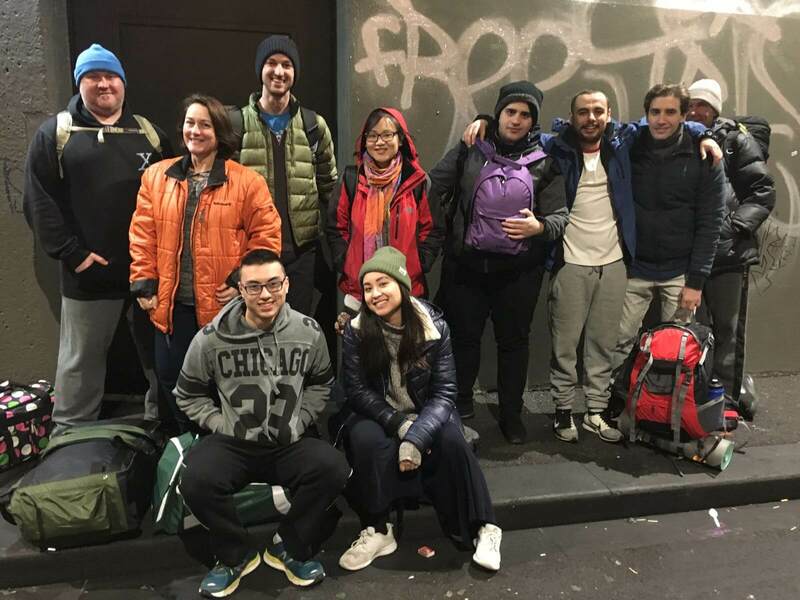 In the hope that we would all be going home to a warm bed, a hot shower, and a supportive network of family and friends welcoming us home and asking about our weekend, it spurred us through the reality of it all. Melissa Tan (second from left) and the team under the pylons next to the Yarra. One gentleman, a regular at the Friday Kitchen, was undergoing chemotherapy and still insisted on showing us around the streets. After being sexually abused as a seven-year-old, he spent the last fifty years on the streets. We heard about the difficulties of experiencing homelessness, and the vast improvement in resources and services in the last thirty years. It was encouraging to see the array of resources and the community power of grassroots organisations in assisting those sleeping rough. Despite this, the reality is that Melbourne is not the most liveable city in the world. Homelessness doesn’t always look or act the part. There is a myth about people experiencing homelessness as being ‘lazy’, ‘uncaring’ and ‘unmotivated’—yet so many in the community were the first to jump to our aid. On our first night sleeping under the pylons, the residents there were quick to ask if we needed an extra blanket, or extra piece of cardboard. Those who we met on the weekend were so eager to share their hurts and hopes; their broken pasts and their dreams for the future. I met a former Irish poet, an 88-year-old Lithuanian on a ‘walkabout’, a business owner who used to make $4K a week, two teenagers on the run, and a man who still dreams of the day he can see his son again. The weekend spent in solidarity with our friends sleeping rough taught me many things. Bystander syndrome exists, and we are all guilty of it. But guilt serves no purpose. Sit, listen, share and you’ll be surprised how much you can learn – and how far we still need to go.